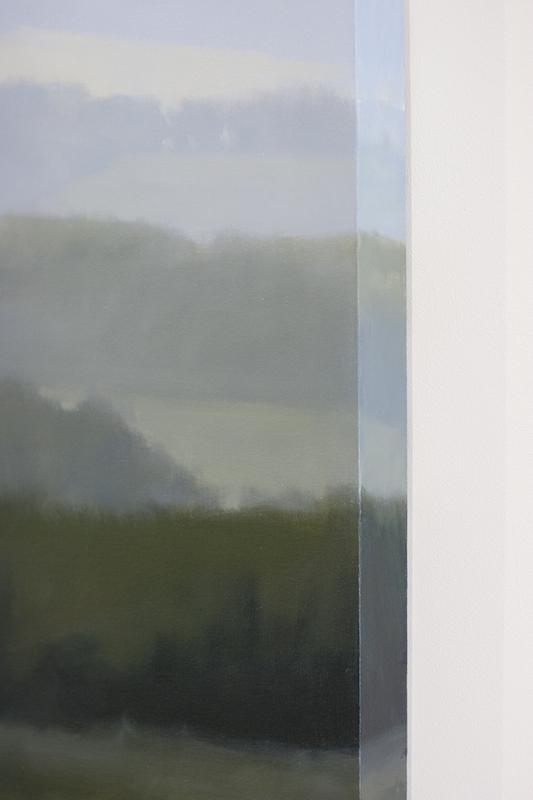 For nearly two decades my work has focused on imagery of open landscape, spaces that are shaped by the farmer or the conservationist, but rarely the builder or architect. 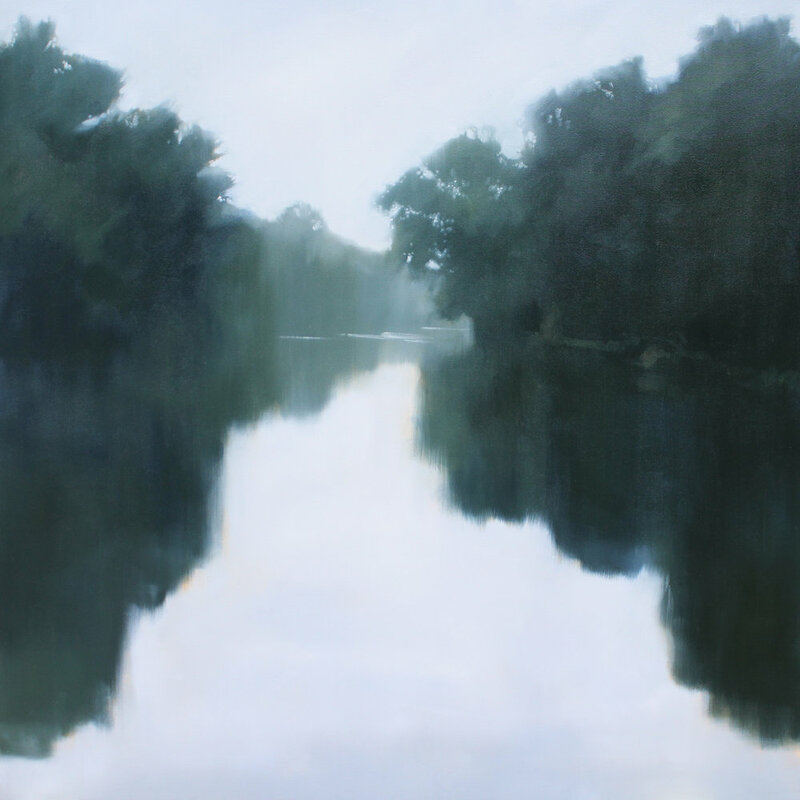 I began seeking out these spaces following a period of study in New York, when I was surrounded by concrete and disconnected from a sense of belonging to the natural world. 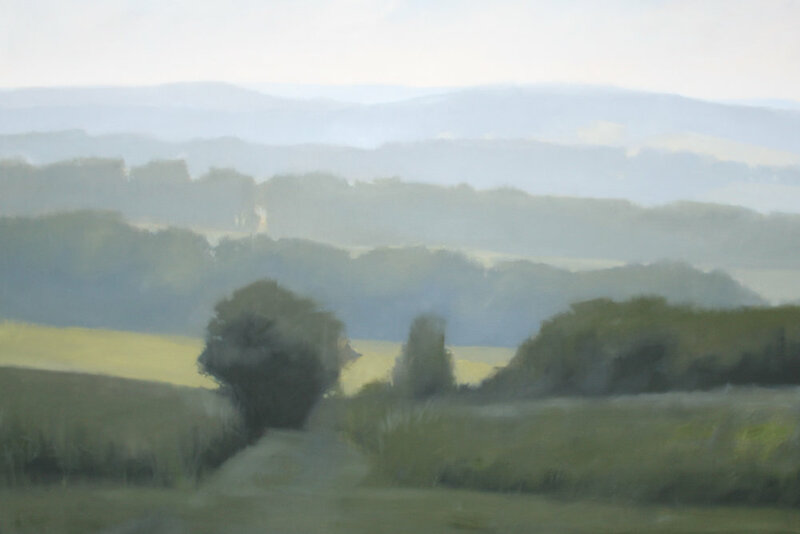 Returning to the Ohio foothills of my youth for a residency was a new kind of homecoming, an exploration of hills, fields, and rivers that I had observed for years, but had never truly known until I painted them. 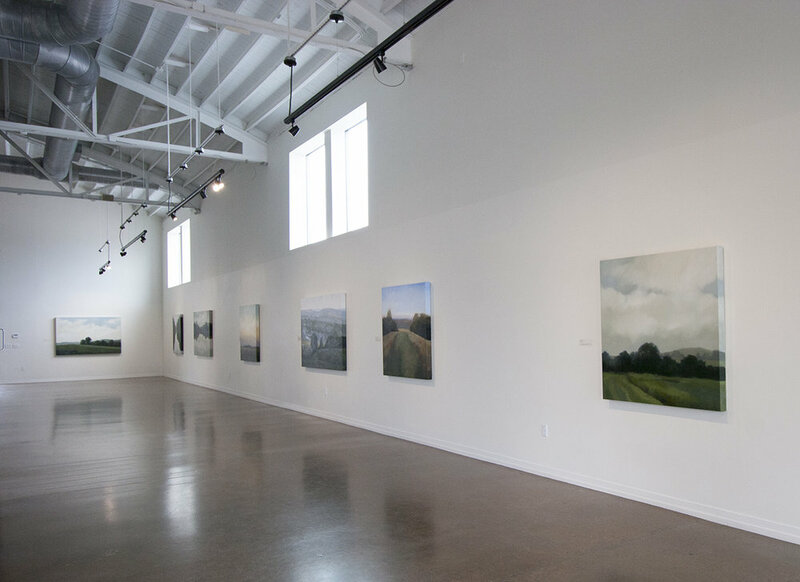 These paintings followed me to Nashville fifteen years ago, as I made work based on the open spaces surrounding the city. Nashville at the time felt green, open, and comfortable in a way that New York never had. It felt like home from the beginning, a city with space and room to grow. 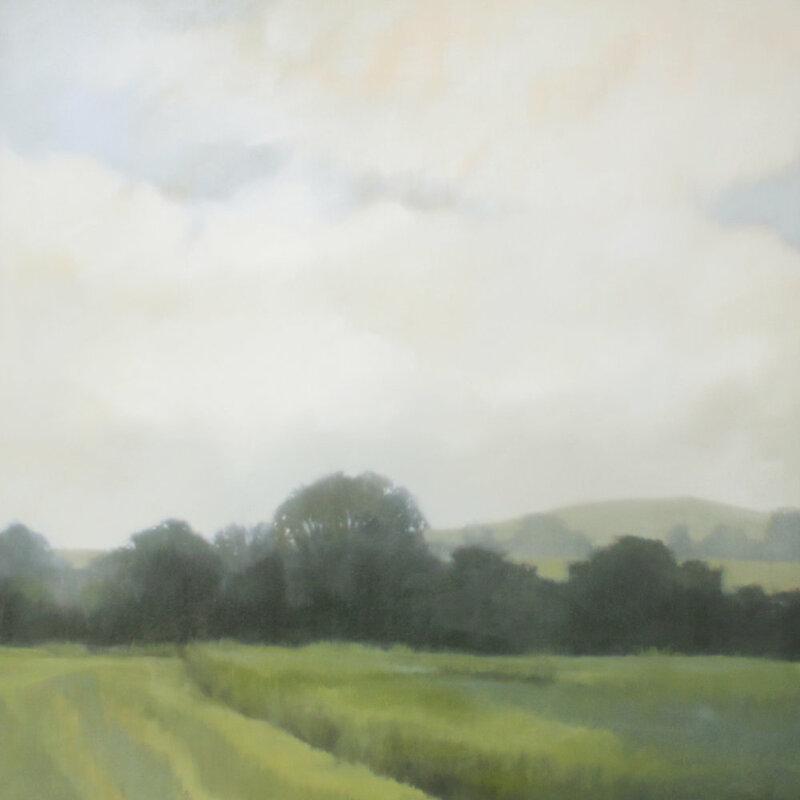 As I painted nearby, I watched the fields around me change. What had been a pasture became a shopping mall; a meadow became a subdivision. The small cottage next door to our home, surrounded by a lush garden once tended by three generations of the same family, was bulldozed to make way for two tall new houses. These changes felt inevitable, but they also made me wonder what was lost. 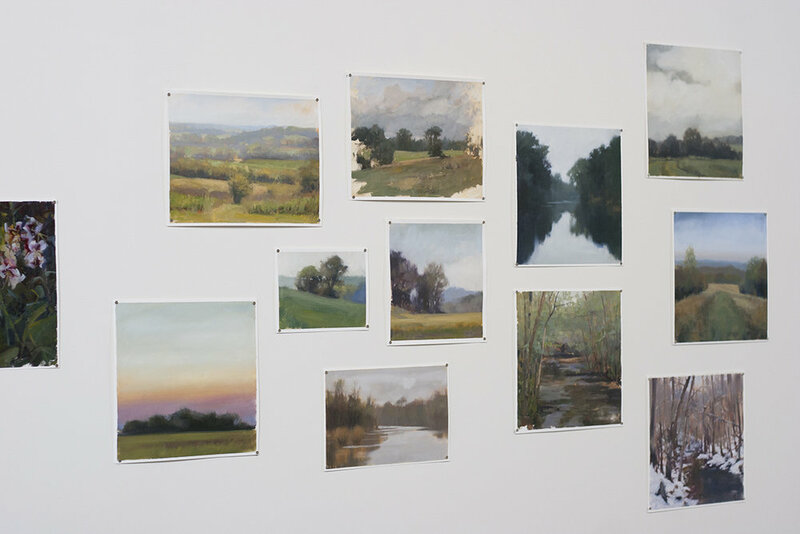 When I encountered the work of The Land Trust for Tennessee years ago, I felt an instant appreciation for their mission to protect natural landscapes for both public and private use, and I approached them recently about making this series of paintings based upon sites that they have helped to protect. Some sites are owned privately by landowners who have chosen to consider land not in terms of profits or future building sites, but for other kinds of value: family history, habitat for vulnerable animals and insects, holding space for grazing animals to feed a community, sometimes opening these spaces to the public for retreat and celebration. The first site I visited was Happily Ever After Farm, where Judith and Jonathan Smith invited me into their kitchen to tell me the story of their purchase of land farmed by Judith’s family generations ago, returning it to the family and restoring it to cattle grazing and pollinator habitat. Senator Joe Haynes and his wife Barbara spent an afternoon telling me stories of many generations on the farm on Old Hickory Lake where their family has lived since 1890. When I spent the day painting on a hilltop overlooking Milky Way Farm, I understood why Frank Mars fell in love with that sublime valley in the 1930s and founded his farm there. On a bright November morning, I hiked over hills and sketched by the lake at Sycamore Springs, operated as a retreat center by Michelle Haynes. The most intimate space I visited was Berdelle Campbell’s ¼ acre garden in Germantown, an oasis of wild green surrounded by buildings, where lilies bloomed and the plants whispered their histories. As the images took shape for these paintings, I wanted to carry these narratives with me, to bear witness to these places that have meaning to the people who hold these spaces as a legacy for future generations. I also found a new personal connection to the green spaces throughout the city and began to frequent places that are open to the public as Metro Parks and greenways, some of which were made possible with assistance from The Land Trust for Tennessee. 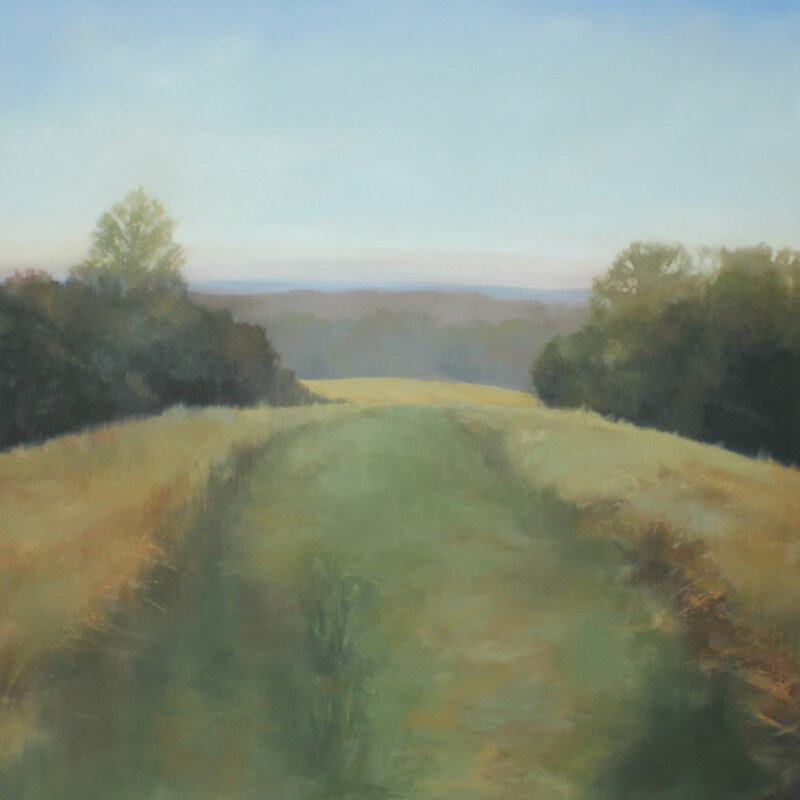 This year I have painted during a gentle snowfall in Beaman Park, discovered the riverbend just below Stone Hall Park, and watched many sunrises and sunsets at Cornelia Fort Airpark. Spending time in these parks and protected spaces has allowed me to reclaim some sense of belonging to the wider world, to feel anchored in the seasons and the rhythms of natural forces. As I paint, I see the land not as a monetary commodity, or as a blank square on a map, but as a ground with spirit, a home for other living things, a place that was here before we were and will be here long after we are gone.